9 months in wood with skin contact for Chardonnay and 9 months in stainless steel for Sauvignon Blanc. 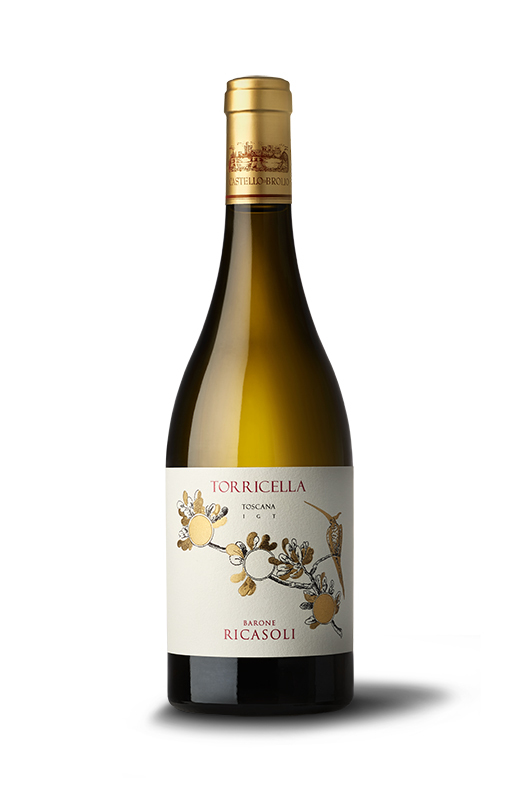 The rare elegance of this wine is the result of an unusual fusion of Chardonnay and Sauvignon Blanc. After nine months’ barrel aging, the Chardonnay is blended with the Sauvignon Blanc fresh from aging in stainless steel. The result is a complex wine with a distinct personality and keen mineral notes that can be savored even after many years in the bottle. The autumn and winter were very mild but rainy this year (about 440 mm). In the spring, temperatures were average, with the end of May and early June hot but humid. Summer was hot and dry. End-July and mid-August rains gave some relief to the plants, helping them during the period of veraison. Harvest began in early September, healthy grapes and regular fermentation led to fresh and well-structured wines. We can confirm that the 2016 harvest was of high quality and in line with the considerable potential of the entire Brolio Castle territory. Straw yellow color. Hints of white-flesh peach, exotic fruit nuances, light vanilla and spices on the nose. Rich and savory to the palate with good acidity, which led to a fresh and persistent finish.